My lovely friend Elizabeth asked me if I ever did any styling advice posts – I never have but I thought it would be a good idea to start it as a monthly thing. There are certain pieces that many of us can find difficult to style – it always helps me to see how other people have created an outfit. So Elizabeth has just bought herself some American Apparel Disco Pants and because she knew I already had a pair she asked me if I would do a post about how to style them. I wear mine to death so I had a fair few looks I thought she could try out – I had to take these pictures after work, so no natural light I’m afraid. 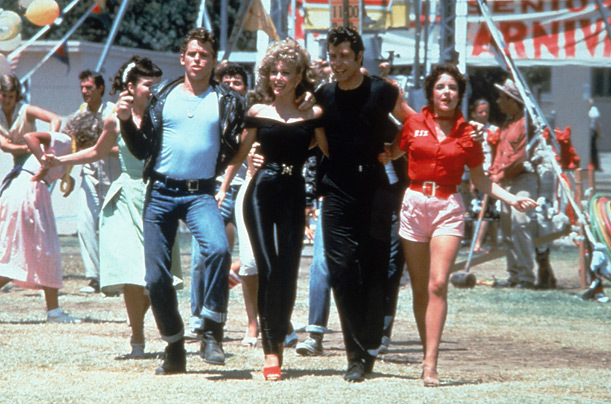 The pants are extremely high waisted – the black ones I have remind of the ones Sandy wears in Grease. With this in mind they don’t leave an awful lot to the imagination. For the less confident of you out there who still want to rock these trousers, don’t despair. A long shirt looks great over these trousers – the good thing about this outfit is how stylish it looks without trying too hard. These pants look great with heels if the occasion calls for them. Now I highly doubt (without loosing a little christmas weight) that I would wear this out and about but I wanted to added it in as an option. There are many cropped jumpers around at the moment – whether it just about reaches the waistband or you show a slight slither of skin – I paired this with my creepers. I think the pants would also look good with a velvet crop top too. For the ultimate grunge look I teamed this with a band t-shirt and tied a check shirt around my waist – another sneaky way to cover my bum. This makes for a great day time look if you are thinking the disco pants are meant to stay in the disco – I thought these would look good with my spiked loafers.